The U.S.-Saudi strategic partnership reset comes at a time when the Saudi led coalition war in Yemen against Iranian backed militants enters its second year and as Iran grows bolder in expanding its presence throughout the region. The U.S. has to date nearly $100 billion in active foreign military sales cases with Saudi Arabia, making it the largest international customer for U.S. military hardware. President Trump’s recent deal with the Kingdom solidifies a decades-long alliance with the world’s largest oil exporter and will be worth $350 billion over 10 years. American defense manufacturers are estimated to add upwards of 1000-2000 new jobs throughout the U.S. labor market as a result. Concurrently, the deal will also directly advance the Saudi Arabia’s Vision 2030 plan to diversify its economy and offer new opportunities for thousands of highly skilled jobs in non-energy sectors. The Terminal High Altitude Area Defense missile batteries and accompanying X-band AN/TPY-2 radar will provide the Kingdom and the Arab Coalition with a strategic advantage in detecting and neutralizing Houthi militia medium range ballistic missile launches. 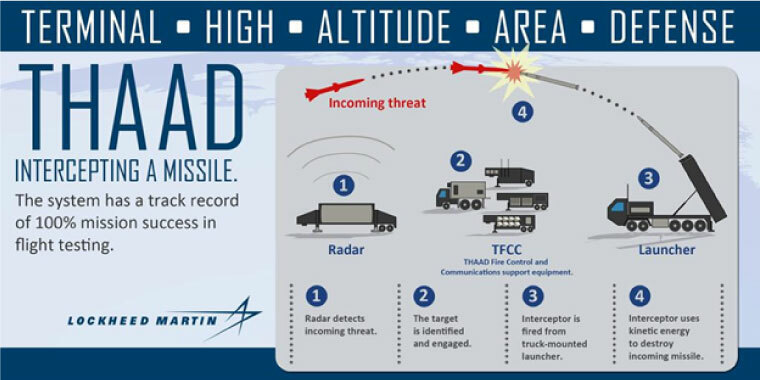 The THAAD radar operates with a range above 1,500 km.Iranian backed militias in Yemen are proliferating short to long range ballistic missile technology, aided by recent shipments provided by Iran. This presents a direct threat not only to the interests of the Arab Coalition, but to Western allies as well. Joint Standoff long-range air to ground missiles are increasingly needed by the Arab Coalition to continue the campaign against Iranian backed militia forces in Yemen. Why increasing defense cooperation with Saudi Arabia is a net benefit for US interests? 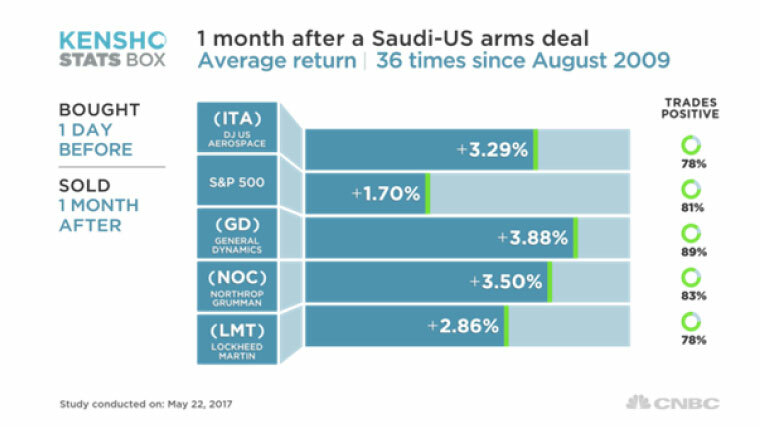 It is not always so easy to put a price and quantify the value of a partnership between two countries.But with upwards of $300 billion in foreign military sales slated for approval to the Kingdom of Saudi Arabia, it is not difficult to see how the Trump administration is seeking a major re-set in bilateral relations with the Kingdom of Saudi Arabia. The U.S.-Saudi reset comes at a time when the Saudi led coalition war in Yemen against Iranian backed militants enters its second year and as Iran grows bolder in expanding its presence throughout the region. The U.S. has to date nearly $100 billion in active foreign military sales cases with Saudi Arabia, making it the largest international customer for U.S. military hardware. The economic benefits of enhancing joint security cooperation and defense sales have also been highlighted by the U.S. defense industry. Approximately 800,000 jobs associated with the industry are heavily dependent on foreign military sales such as the package for Saudi Arabia to stay in business. By some estimates, approximately ten percent of US manufacturing demand is linked to major domestic defense manufacturers. The convergence of national security interests between the U.S. and Saudi Arabia were spelled out by the National Security Advisor Lt.Gen McMaster over the weekend. He said that a main thrust for President Trump’s visit would be to “encourage our Arab and Muslim partners to take bold, new steps to promote peace and to confront those, from ISIS to al Qaeda to Iran to the Assad regime, who perpetuate chaos and violence that has inflicted so much suffering throughout the Muslim world and beyond.” The message being delivered here is that the U.S. and the Muslim world share common adversaries and threats to their security. Even more interesting is the declaration of Iran and the Assad regime as being destabilizing dangers on par with al Qaeda and the Islamic State. Statements by Secretary of Defense Jim Mattis during his recent visit to Riyadh also highlighted the policy linkage between the fight against the brand of extremism fostered by the Islamic State and Al Qaeda with the brand being proliferated by Iran’s external operations arm– the Iranian Revolutionary Guard Corps (IRGC). “Everywhere you look if there’s trouble in the region, you find Iran” Mattis told reporters last month. In other words, the Iranian backed militants who are being armed, funded, and trained by the IRGC’s seasoned experts in guerilla warfare and subversion pose a direct threat to American national interests and its allies. To put things in perspective, Iran’s main militant commander in Iraq Qays Khazali gave a speech last week where he discussed active efforts to expand Iran’s “Shia Crescent” into a “full moon” throughout the region. Khazali remains ardently pro-Iranian and anti-American and anti-Saudi and has openly declared his readiness to launch attacks against U.S. forces in either Iraq or Syria if given the order by the IRGC’s commander Qasem Soleimani. Much of the munitions that the U.S. is selling Saudi will be used in the field of battle in Yemen, a country of considerable geopolitical importance. The country, with its 1,184-mile coastline, is strategically located next to the Bab al Mandab strait, through which commercial oil tankers carry an estimated 3.4 million barrels per day (3.5% to 4% of the global oil supply). The Arab Coalition fight in Yemen is also integral to the defeat of Al Qaeda in the Arabian Peninsula.. AQAP is considered by the U.S. Department of Homeland Security to be the Al Qaeda affiliate “most likely to attempt transnational attacks against the United States.” The intelligence services of Saudi Arabia helped disrupt two AQAP plots against the American homeland.The recent laptop ban on some international airlines was linked by Western intelligence agencies to an AQAP terrorist plot. The convergence of American and Saudi national security interests in countering malign Iranian influence and interference in regional affairs has found broad support amongst the American public. U.S. public opinion towards Saudi Arabia, particularly amongst registered voters, has surged significantly following President Trump’s visit to the Kingdom. 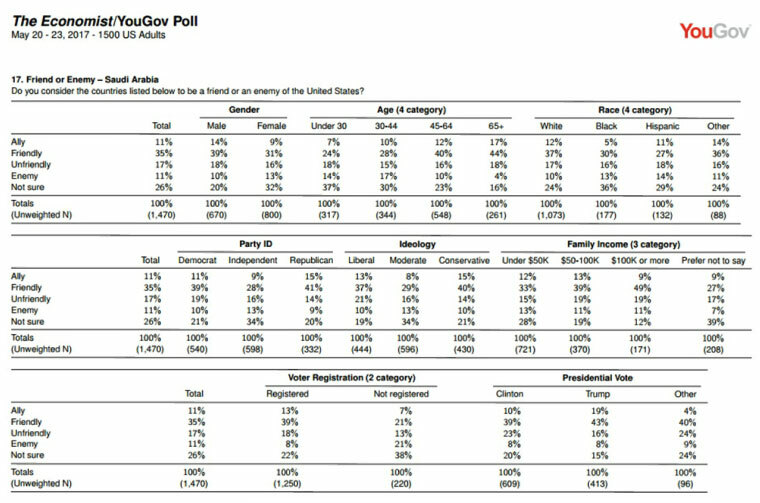 Almost half of Americans view the Kingdom as an ally or friendly, per recent YouGov polling data. 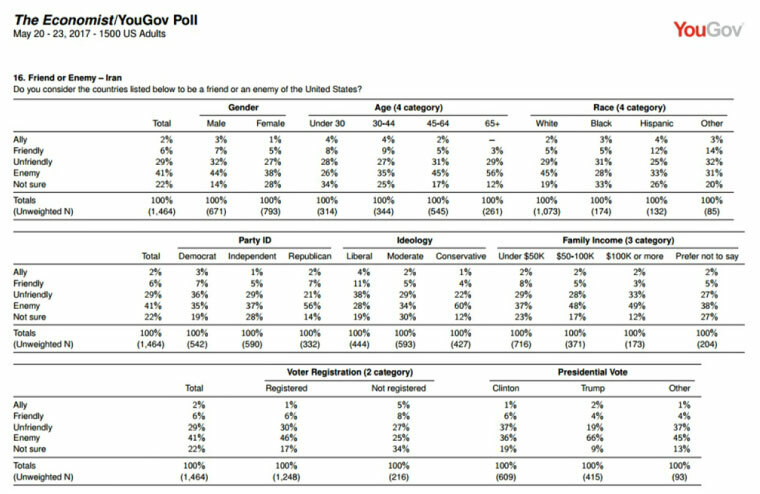 In contrast, 70% of Americans view Iran as being an enemy or unfriendly towards the U.S. The U.S.-Saudi defense cooperation will bring about major changes to the geo-political map in the Middle East region if implemented properly because it will considerably enhance America’s defense relations with almost all of the Muslim world, especially Arab countries. This will achieve strong results in the global war on terrorism and Islamic Extremism regardless of whether it is affiliated with ISIS, Al Qaeda or Iran. The U.S.-led International Alliance will have a more clearly defined mission in Iraq and Syria, which will be to combat Islamic State terrorists and prevent Iranian-backed militias from capturing and holding liberated ISIS territories, and subsequently halt Tehran’s quest to control the region. Washington will also secure a wide-ranging Muslim support to its objective of checking Iran’s nuclear ambitions and neutralizing its ballistic missile program. The Saudi-led Arab Coalition has made a serious commitment in taking the lead to invest the necessary military resources to counter multifaceted extremist threats. This will ease the burden on U.S. military force deployment and offer legitimate local solutions to the proliferating threat of global extremism. Therefore, the benefits of the Riyadh-Washington defense cooperation are wide-reaching with short as well as long term gains for both sides.